OK, it seems like every summer I end up crazy busy, and this summer was no exception. And you may have noticed that the frequency of blog posts over the summer has suffered. Between a large extended family reunion at Disneyland earlier in the summer, an out-of-state high school reunion, and helping our daughter prepare as she headed off to live in Cambodia for an extended period of time (she’ll be back early 2018), it’s been pretty crazy around here. But with the fall comes more time, and with more time comes more frequency posting here. It’s a fairly short post today, so let’s dive in! As a Disney “expert,” something I’m often asked is when is the best time to visit Walt Disney World? And my normal response is that the days right after Labor Day are hard to beat. All the schools are back in session, and none of the fall school breaks have started up yet, leaving the park very uncrowded. The picture above sort of tells the story. 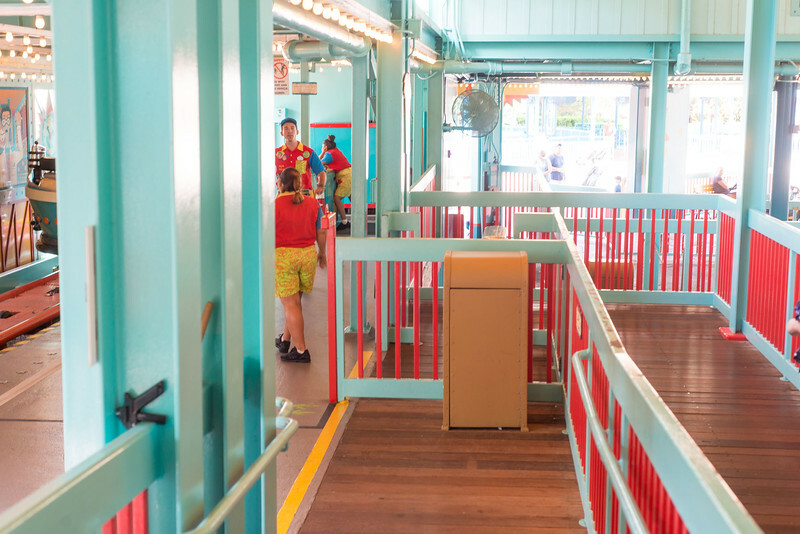 This was the scene at Primeval Whirl on Wednesday, September 7th, at just before 10:30am. No waiting here. 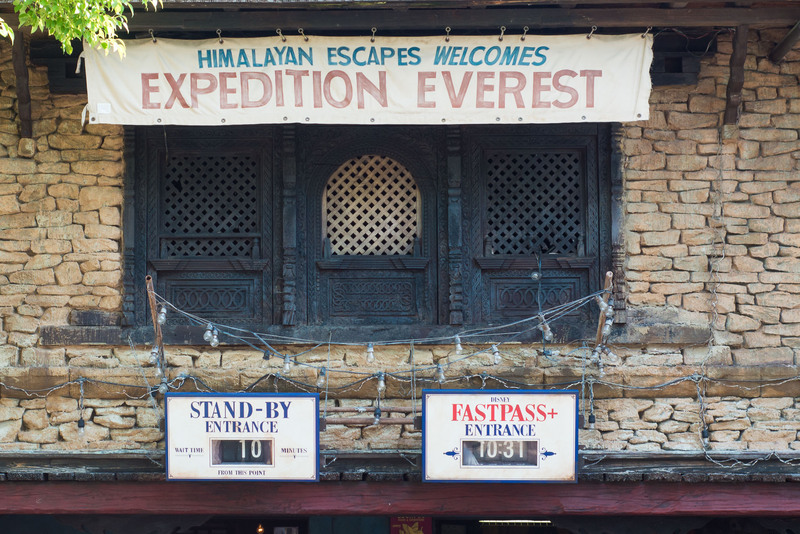 Same story with low crowds at Expedition Everest, just a few minutes later. And… well, you get the idea. This was at 10:44am. Sorry to disappoint, but no, you likely won’t see crowds this low in October. At Disneyland, you have all sorts of fall breaks in Arizona and Utah, and fall breaks abound here in the east as well. The Food & Wine Festival, which starts tomorrow at Epcot, also serves to draw guests into the parks. So, if you’ve been visiting the parks over the last week and a half, enjoy it while it lasts! 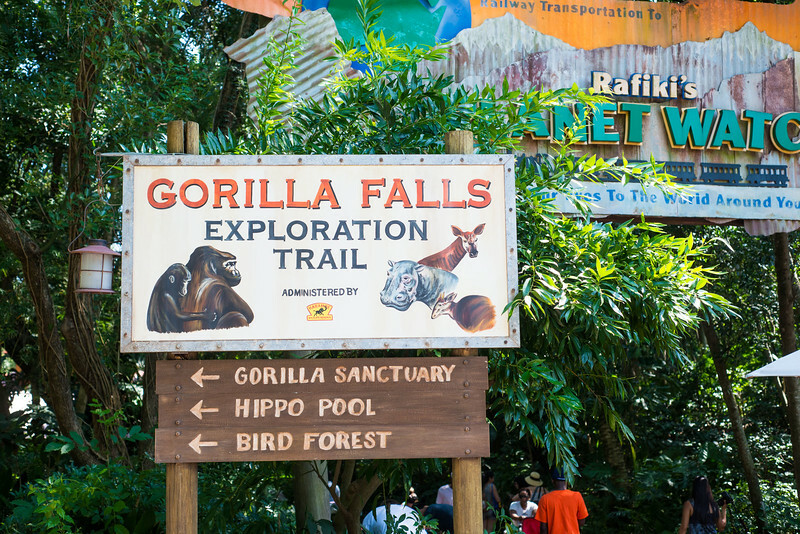 In Animal Kingdom news, the Pangani Forest Exploration Trail has been renamed back to its original moniker, the Gorilla Falls Exploration Trail. 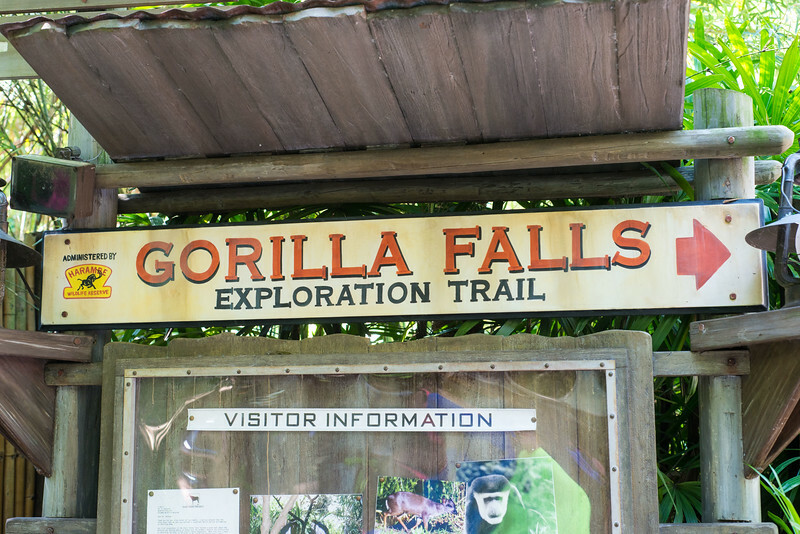 Personally, I think this was a good move, as it should help guests know immediately what to expect as the “star attraction” on this trail. 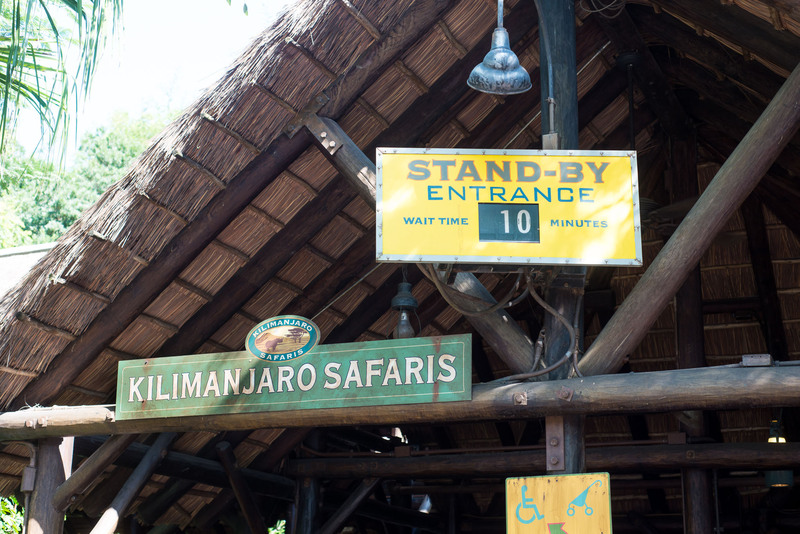 Another new sign outside Rafiki’s Planet Watch. 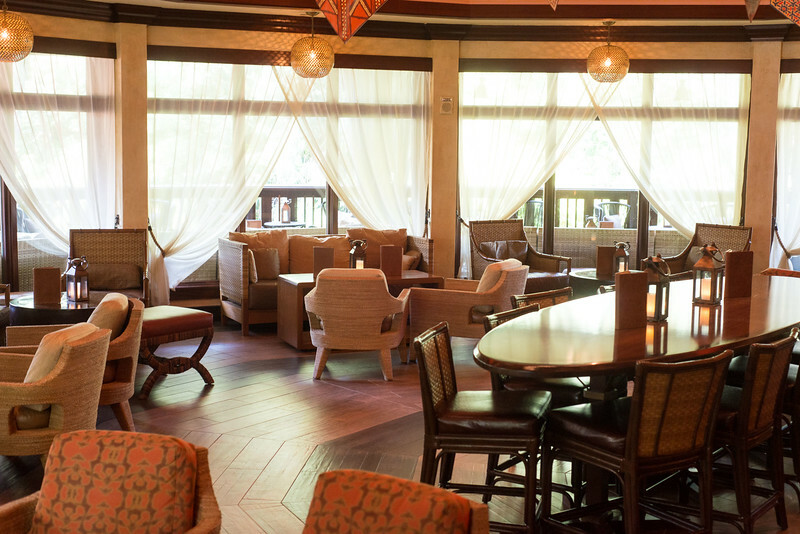 Somehow, Liesle and I had never made it to Nomad Lounge, so we decided to stop in for lunch before Epcot’s Food & Wine Festival starts consuming most of our discretionary eating time, beginning tomorrow. We arrived to a completely empty lounge right after Nomad opened for the day at 11:30am, though a few groups of guests did arrive later as our lunch progressed. 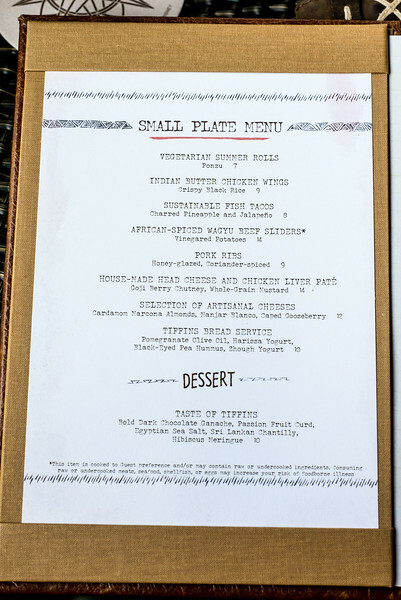 For those who don’t know, Nomad Lounge shares its kitchen with Tiffin’s, which is the Animal Kingdom’s newest restaurant, located near what will someday be the entrance to Avatarland (or on the way to the old Camp Minnie-Mickey, if that helps). 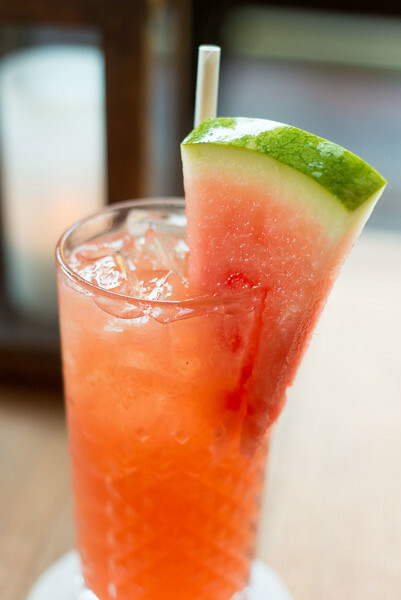 We first ordered the non-alcoholic Kiama Mamma, which was basically watermelon-flavored Sprite, complete with a wedge of the fruit. It was a refreshing beginning to the meal. 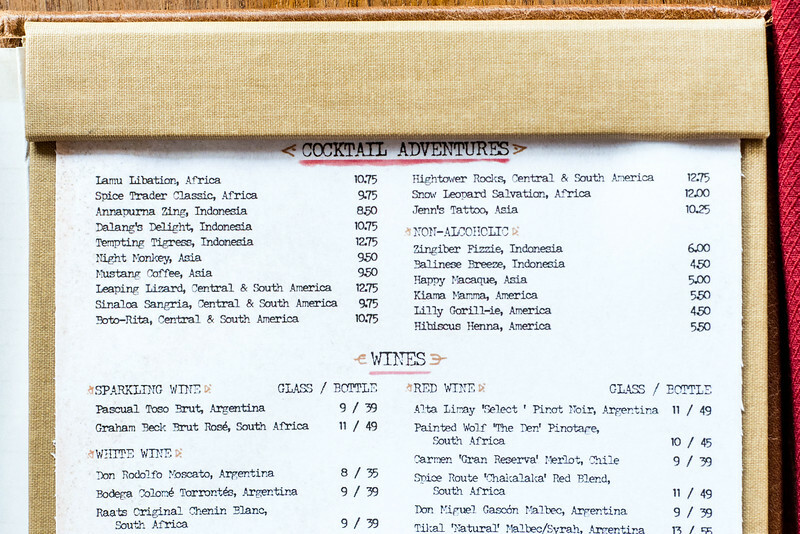 You can see the some of the other drink options listed above. 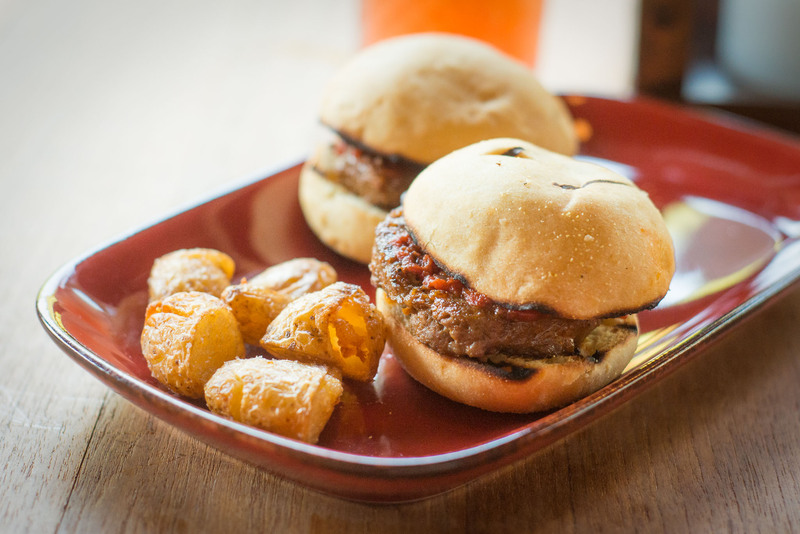 These are the Beef Sliders, which we both very much enjoyed. The sandwich had a nice tangy taste to it, and was cooked just right. The vinegared potatoes were a pleasant surprise here, offering a very unique taste. Our server, Adriana, who was very knowledgeable and helpful with the menu, explained that the potatoes were first boiled in a water-vinegar mixture, and finished off with a vinegar salt. My only complaint here is that we could have used more of the potatoes — they were just very good. The Fish Tacos were also delicious. 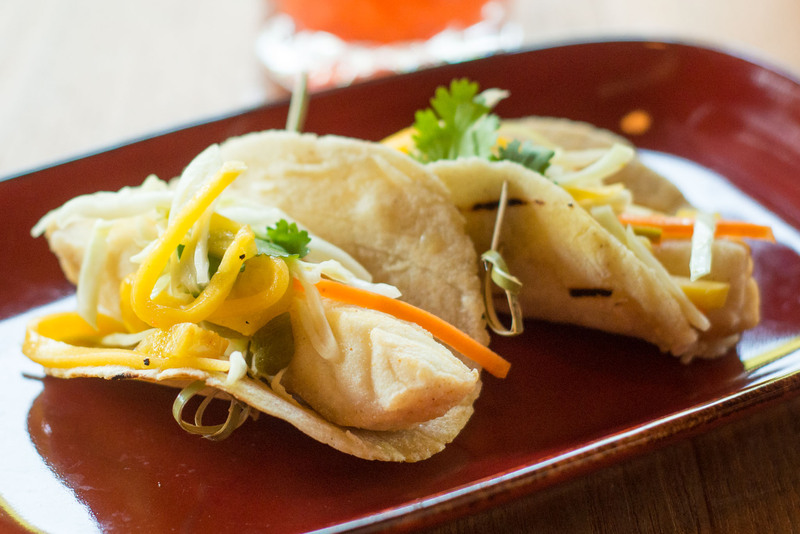 It’s hard to tell from the picture, but these are served in soft corn tortillas, and the overall flavor and texture profile is very well balanced, with the mellowness of the corn tortilla and the fish combining with the tanginess of the charred pineapple and other garnishes to create a very nice overall effect. 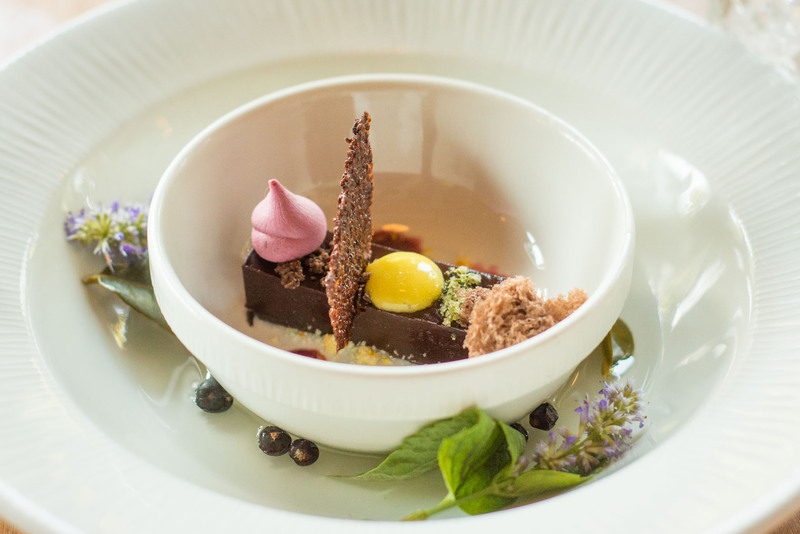 We also couldn’t resist the Taste of Tiffin’s dessert, which consisted of a dark chocolate ganache topped with various flavorings, including hibiscus meringue, Sri Lankan chantilly, passion fruit curd, and Egyptian sea salt. The bowl itself sat in a lime-based liquid that served as a palate cleanser between bites, which added a nice touch to the overall experience. Although the portion size is small here, it’s fairly rich, and Liesle and I both thought it was done just right, and a very delicious way to finish off the meal. 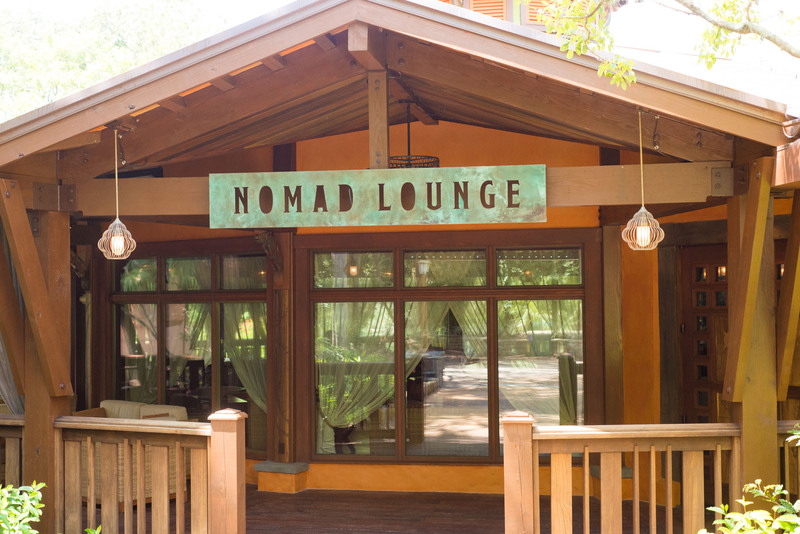 The view of Nomad Lounge from the pathway in front. We look forward to eating here again soon. 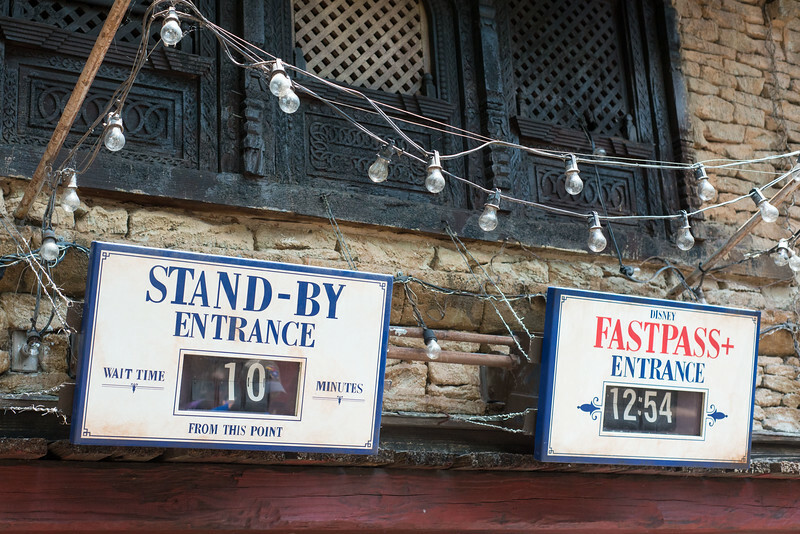 We left the Animal Kingdom in the early afternoon, when the posted wait for Expedition Everest was still just ten minutes. It looked like Disney may have actually underestimated the crowd at this point though — my guess is that the wait was actually closer to 15-20 minutes. Still not bad for the busiest time of the day. Liesle and I are both excited to head off to Epcot tomorrow for the opening day of the Food & Wine Festival. Stay tuned for pictures and food reviews!